We are very proud to be part of the world’s most prestigious flower show this year. We have installed a series of very large cylindrical aquariums for the Gold Medal awarded “The Pearlfisher Garden” by Karen Welman and John Warland at the 2018 Chelsea flower show. The Garden is designed to celebrate the beauty of underwater gardens of our great oceans and highlights the irrevocable impact of plastic waste on our ecosystems. 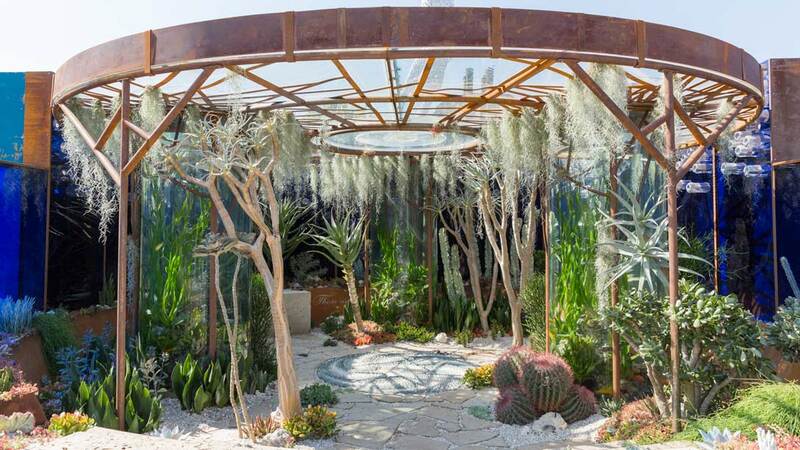 The Garden has been planted with various cacti, succulents and tillandsia to resemble an underwater coral world. The sculptures and walls within the garden have all been made from recycled plastic. Our Aquariums house many colourful African Cichlids and plant life, each tank is maintained with a high technological eco friendly biofiltration system and is carefully monitored and maintained by our Aquatic Design Centre team. The RHS Chelsea Flower Show 2018 runs daily from 22-26 May 2018.